Whilst Kelly is taking a break, Carlos will continue their regular Wednesday classes. After their popular classes in May/June 2018, they have decided to ‘seriously’ teach together again! Carlos, a charismatic and fun tango teacher/dancer from Uruguay; Kelly, a strict tango teacher/dancer with a dry sense of humour. This combination means the class could only go one way or the other (a DISASTER or a LAUGH!!). Whether it’s a disaster or a laugh, you will still be learning the Argentine Tango as you’d see, dance and feel in Buenos Aires milongas. We teach the authentic Argentine Tango as you would see and dance in Buenos Aries milongas. 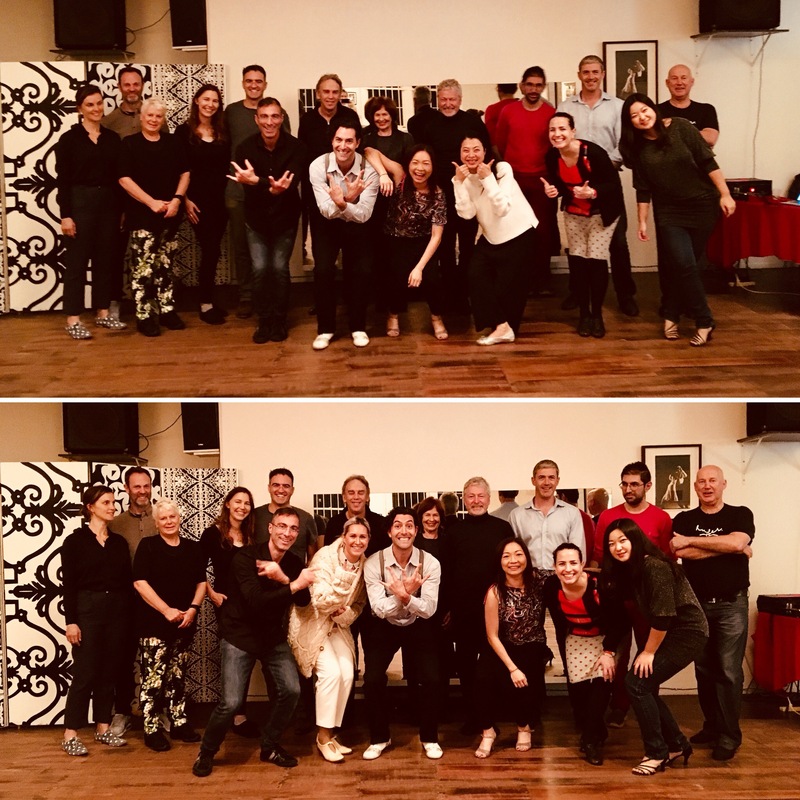 Our classes are fun and informal with the focus on technique, musicality and developing partnership; to cover the basics and give you the confidence to dance socially with anyone at a Milonga. Clothing that is comfortable to move around in. For footwear, wear shoes that you can pivot easily and don’t stick to the wooden floor.